Priyanka Chopra once lost a part in a movie because she was "too ethnic"
Priyanka Chopra, who’s been in more than 50 movies, makes being a star look easy. 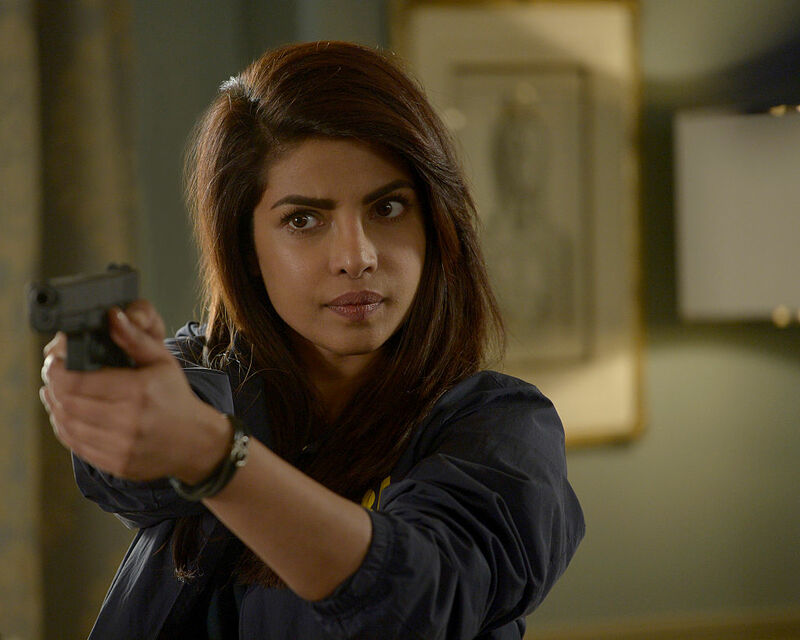 But the 35-year-old star of ABC’s Quantico says that it hasn’t always been such a cake walk. Speaking at the Toronto International Film Festival this week, Chopra said she once lost a role for being “too ethnic.” Because even for India’s biggest star, and one of Hollywood’s newest faves, discrimination is still a given. What’s troubling is that this isn’t shocking at all. As the guest of honor at the TIFF Soirée, Chopra talked about how hard it was to make the transition into Hollywood — even after she was a primetime staple. Two years after the premiere of Quantico, for which she won a People’s Choice Award (the first Indian woman to do so, BTW), her agent called her and told her that she wasn’t getting a part. “I was asked to not be a part of a movie because I was too ethnic,” Chopra said. "First of all, everyone has an ethnicity. Even Caucasian is an ethnicity. But I was 'too ethnic' for the part and it was a mainstream American part. And I remember my agent being — he didn’t know how to tell me that. He was really skirting the issue and I said to him, 'Just tell me.' And he said, 'Priyanka, I don’t know how to say that in 2017,' that this was actually a reason! They could have at least made up a reason!" Apparently, the producers felt that most American viewers would need too much of a backstory to describe why a woman of color was “mainstream,” such as why her family was in a suburb or something. Movie lovers, we really gotta start demanding better. "I didn’t realize that that’s how hard it was until I came here. And now I’m really taking it very personally. And whether it happens for me or it doesn’t, I really do hope for the future generation that they don’t have to deal with this because of what my colleagues and I will do. I want to stick my feet in and say, 'No, this is not what we’re going to stand for. Look at the world around you.'" It’s a vicious cycle — the lack of representation leads to more discrimination, discrimination leads the heads of studios to believe people don’t want to see non-white stories and actors represented, and so on and so on. Luckily, there are women like Chopra who aren’t backing down and calling out this kind of BS when they encounter it. She has a platform to do so, but so do us regular folks who pay and come out to see films and watch TV. Everyone can do what Chopra’s doing — take it personally. Because come on.